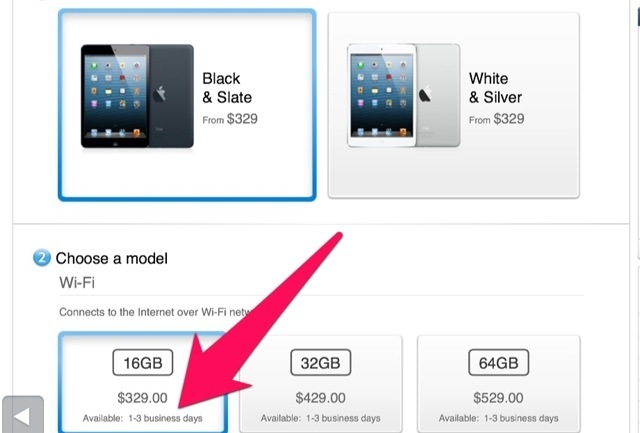 Just over a week ago iPad mini shipping times improved to 3-5 days for Canada and the USA. Just this morning shipping times have once again improved, now sitting at 1-3 business days. With the iPad being promoted by Apple as the Valentine’s Day gift of choice, these improved shipping times will surely continue to improve. Apple sold a record 22.9 million iPads during its holiday Q1 2013 period.